She is young, beautiful, and desperately in love with a man who cannot return her affections without arousing suspicion. And so they meet in secret, embracing in stairwells and castle turrets, murmuring each other's names in hushed voices, reaching passionately for each other under the cover of darkness. She is young, beautiful, and desperately in love with a man who cannot return her affections without arousing suspicion. And so they meet in secret-embracing in stairwells and castle turrets, murmuring each other's names in hushed voices, reaching passionately for each other under the cover of darkness. His name is Hamlet; her name is Ophelia. And if you think you know their story, think again. Because when bloody deeds turn the court of Elsinore into a place of treachery and madness, the young lovers will devise a plan for revenge-and for escape. 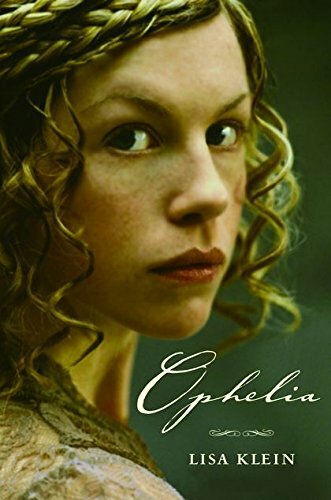 Part of their plan calls for Ophelia to cast herself into dark waters. But instead of drowning, she will flee with nothing more than the clothes on her back...and one very dangerous secret. What if Ophelia, the tragic young waif of Shakespeare's Hamlet, didn't die? Using this tantalizing premise as her leaping off point, Lisa Klein's gorgeous reimagining of the bard's great tragedy places the ephemeral Ophelia at its centerpiece. At once revisionist and true to its origins, her story offers readers a spellbinding page-turner with twists so startling it will leave them wanting more long after the final, heart-rending page is reached.